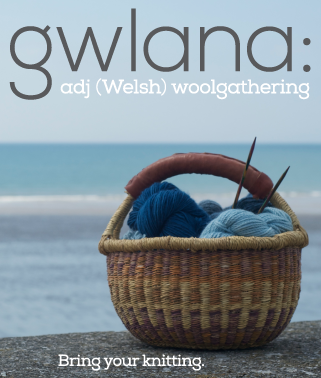 This week we begin, as all good British meetings do, with apologies for past transgressions, after which we come right round, and make all well again with knitting. Contributing writer, Amy Foster treats to us to a scarf, by royal invitation, and we find that queens are much better than princesses (and have better manners) when we visit with Amy Singer, of Knitty.com, Kerrie Allman, of MagKnits, Zabet Stewart and Renee Rigdon, of the Anticraft and Syne Mitchell, of Weavezine. Finally, we break for hot chocolate, and warm to a tale of lust, loss and redemption. 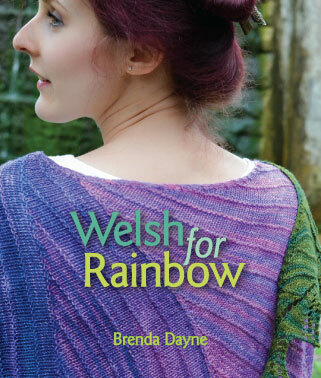 All this, plus an Interweave Update, rain forest creatures, and an invitation to knit Socks for Soldiers (whose sister organization, of which I am president and, actually, the only member – Toddies for Troops! – makes the knitting of socks much less of a chore). I am downloading now, and came by only to say that I was missing this great podcast! Tks and a happy month!!! Lily, Rio de Janeiro – Brasil. Thank you for mentionning the Amazon Rainforest Project. I am looking forward to your version of the strangler fig socks! some knitting and ponder daffodils, princesses and the jackets I could not afford to buy either. you sound so much better since you changed your schedule, its obviously the right move, well done. ps try Spanish hot chocolate, its so thick and rich its a meal in itself! As you consider churning through the stash this year, you might think about those 8 sweaters as a “collection” and plan them out in advance. I’ve found this to be a great motivating factor in working through my own yarny plans. I did a Fall/Winter 2007 collection of five sweaters, and now I’ve begun a second one called the Button Collection that will be sweaters designed around some buttons that I want to use. Do you read the Fabulist, by any chance? That’s where I find most new bands, including Vampire Weekend, and you’ve played quite a few songs that remind me of them. As always a great podcast, Brenda. I loved the way you organized your interviews by topic and focused on the words of the interviewees. Very professional. I would love to see a “Best of Brenda” CD with your wonderful essays: “Thanksgiving”, “Start like you mean to go on”, and “Italian Hot Chocolate” should make the cut! Cheered when I saw your cast in my collector! Bricks don’t float. When you are flowing down the river of your life and you reach out for bricks, you will slow the flow and get to see a whole lot less of your river in your lifetime. If people are always throwing bricks in your river, and you see those bricks and start gathering them and holding on to them and keeping all those random, mismatched bricks other people throw at you, you will again slow down and maybe even stop and you’ll be stuck in the same stagnant pool of water for a really long time. Happy St. David’s Day! Getting ready to go listen to your podcast and knit. Thank you for this podcast. I’m really sorry to hear about Toby, but it sounds like he led a wonderful life. Great episode! I could tell by your voice that you were thrilled to be back!!! I’m so happy that the monthly thing is working for you! I’d love more, but life does get crazy. Loved the zine theme. The Exactly song is fantastic! I feel like it was written for me! I’m so sorry about Toby. He sounds like he had a wonderful last day on this earth. I know you’ll miss him, but he’ll be looking out for you still! I’ve been listening to your podcast for quite some time, but this is the first time I’ve felt led to post a comment. In particular, I want to thank you for including “Exactly” by Amy Steinberg. That song summed up, in just a few minutes, my whole view of the nature of reality and our interconnectedness with each other. It’s refreshing to see that this outlook is growing amongst more and more people…either that or I’m just waking up to the breadth of people who see things in the same vision. Keep doing what you do; you do it so well. Great show — Ezines & Podcasts are so exciting and creative. I feel sad that in five years much of this energy might be gone — similiar to the consolidation in the rest of the web industry now controlled by Microsoft, Google & Yhoo. I’ll keep supporting the Local Yarn Shop, My Viritual Ezine & Podcasts! I have to say I loved this podcast… as always great. so that songreally rang true. I need to get the lyrics and post it by my desk to remind me of some important stuff. Thanks for another informative and moving episode. I loved your jacket story. It rang so true for me, and was a good reminder to be grateful for all the wonderful people and experiences in life, and not get too caught up in things, however beautiful they might be. I am so sorry about Toby! You are right, though — it is a fine thing to spend your last day doing what you love. I love your show. I appreciate your honesty, but I think some of the criticism was silly. Who works for free? I worked in non-profit for several years. It was a small organization and I constantly struggled with what my contribution to the program was worth. I had a hard time asking for what I felt I was deserved…..this led to resentment and burnout. Now, I am a SAHM and I am working on crafting and writing. Again, I have a hard time figuring out what my time and effort and talent is worth. I completely agree with you that your “trip” were not gifts but you work hard for the reputation you have. Brenda, the wait was well worth it! A great episode, as always — a treat I really needed this morning after a horrible weekend culminating in a migraine last night. I wanted to thank you for playing the Rusted Root track at the end. The band is originally from my hometown — in fact, my husband designed their first Web site! — and hearing them really took me back. Greeting from Pacific Northwest in U.S. Thank you for your great podcast. I am a new listener and catching up old episodes while I am spinning. I just listened to the part that you were talking about making wedding gown for your daughter in law to be. My mother in law made my wedding gown as well. That was just most wonderful thing ever. We both cried when I finally tried it on. She is wonderful lady who is fiber artist, spinner, knitter and weaver. Anyway, I thought I would write you a note to say Thank you so much. The episode reminded me of happy memory. My husband and I have been married for three years. He is very supportive about my fiber addict. For the Love of Yarn: A zine that showcases free patterns from up and coming designers/bloggers. Tejemanejes: A “Knitty” for Spanish speaking knitters around the world (the lace and sock patterns are my personal favorites). Black Purl: A zine that focuses on ethnic inspired designs and has profiles of various knit blogs and their authors’ from time to time. Now that I think about it, you probably aren’t able to interview every single knit zine editor out there but I feel it was important for me to let you know that there are a lot of zines out there dedicated to knitting and presenting it in their own way. Again, love the show Brenda. Keep up the good work. Hopefully you will enjoy these zines too. Great podcast, Brenda! And I listened to it on the first dog walk after downloading.. a whole month to wait! I’m not really complaining -after all, I don’t buy the thing, do I? And he who pays the piper calls the tune! I could tell I waited a month for this podcast, and it was well worth it! The episode was so well put together, the music choices were perfect, and the overall theme was interesting and original. With shows like these, it seems like 4 weeks is a short time to wait. Thank you so much. Okay am I the only one who is curious? Who is Amy Foster’s sister? Loved the episode. You sounded terrific. In grand form. Hope you get all you need in the next month. Brenda, it’s great to have you back! I love to work out while listening to your podcasts! Just a word of encouragement on the Modern Quilt Wrap – I just finished mine (it’s a Christmas present for a dear knitting friend), and I have to say, I thought it would never end! I still need to block, and am currently searching for unflavored dental floss in order to have a guide for my blocking wires. But the end is truly in sight, at last. And we still will have enough wintry weather this spring for my friend to get some use out of her wrap. So it’s all good. I never felt this project “flew off the needles” as you said earlier – rather it was a bit of a slog. But the end result is beautiful. Good luck finishing it! And so sorry about your dog. My two cockers are 14. So glad to see the new episode. In the past month, I have backtracked and finished listening to all back episodes (I’m a newbie). I have to confess that I got used to you riding the bus to work and home again with me each day. And, I wanted to let you know that both my 15-year-old son and I really appreciate your music selections; we have purchased many songs that you introduced us to via the podcast. I’m happy the new schedule is working out so well for you. Thanks so much for the work and care you put in; it shows. A fabulous episode! My condolences for Toby. And when you say that sometimes you forget how many of us there are listening, so do we. I feel like you are talking just to me! I think it is a true shame to hear about the class materials being thrown away by that major crating chain of stores. I also know employees there who were told to do the same. I have written a chastising letter to the company, and wonder if it would do any good for others to do the same? I’ll let you know if I get a response. You truly inspire me. Bravo. Great show, Brenda! Just wanted to say thank you. Great to hear you again. Can’t wait to meet you at Sea Socks! Indeed…You can’t always get what you want, but if you try sometimes you get what you need! Another great podcast Brenda! I am a newby, but have been listening to your past podcasts & find them very enjoyable & motivating. It is my opnion that one should never have to apologize for their OPINIONS. Having an opinion & being able to voice them is a beautiful part of being a free human. Great show, as always. I was so good to hear your voice again. Keep up the wonderful work and your chin up. We look forward to hearing from you later this month. Sorry to hear about Toby. Losing a friend is tough – I hope you can treasure his memories soon. If you are happy podcasting once a month and are happy – fine. Don’t worry about people being grumpy – it happens sometimes. Yay, new episode! Haven’t finished listening to it yet, but wanted to respond about the criticism you got from the last episode. The people criticizing you for talking about money is just another reflection about how our society largely does not value artists and artisans. Don’t let that stop you (and Annie, and others) from saying explicitly, that doing the podcast and art, is a labor of love, and also is something worth money. And without money, you can’t continue. Simple as that. Secondly, it’s impossible to know everything about something and to always be right when talking about it. Your podcast is your voice and part of the appeal is to hear your opinions, whether I agree or not. Keep up the great work, and do it in a way that sustains you, not the other way around. Just wanted to say that the selfish part of me was sad that I won’t get to hear you weekly, but that part’s small in comparison to the part that supports you, and looks forward to the possibilities of a book by Brenda. A month isn’t really all that long to wait. Do what you have to do! And so sorry to hear about loosing your loyal friend. I have been loving your podcast since (almost) the beginning. I don’t hear preaching. I hear you encouraging us to be intentional and genuine. When we need it most, it will hurt. I, too, am deflated when the stuff I want most in life is stuff. Sigh. Can I just add that it was W.P. Kinsella, in his short story “Shoeless Joe Jackson” who said, “If you build it, they will come.” He lives in my little hometown of Chilliwack. B.C. Keep looking after yourself so we can look forward to more podcasts. I have been listening for a long time- not since the begining but close and I want to say thank you so much. I love your podcast and it makes my day whenever I hear it. I had to laugh when you talked about organic yarn in the last episode. At the time I was knitting with some organic wool that I paid 2x as much for (I was not duped- I knew exactly what I was paying for). BUT- I had to pick out all the straw and hay that they had not bothered to clean out of it. And then I found out it’s not spun by a co-op in New Mexico like the website said but by a local mill down the road. The location doesn’t matter to me but I felt lied to. It’s true that knitting is a business but it should be an honest and fair business just like any other. Your point was valid. Thank you for being honest with us. You sound much better and happier now. I’m glad that when I’m listening to you I know you are not pandering to get money or freebies and that you can apologize when you feel you are wrong. Please keep up the good work however and whenever you can. I love your podcast, the time and effort you put into is obvious. I don’t know how you managed to produce a show every week, I think you are wise in only producing every month…(at least now I can keep up!) Enjoy your spare time and thank you for allowing me to enjoy your podcast. Thank you thank you thank you… all the way from Melbourne Australia. Oh, the music was fantastic! Love your podcasts and have been a faithful listner – this is my first time commenting! Was just listening to an old podacst (Jan 2006, I believe – how time flies!) where you mentioned reading The Age of Innocence. Just thought you may find it interesting that the only monument to Edith Wharton (The Mount Estate and Gardens) is facing imminent foreclosure? What a travesty… I found the info online at edithwharton.org. Thank you for another enjoyable podcast. I never realized how long they take to put together, I knew it was more than the time spent talking, but didn’t realize quite how long. I’m sorry to hear about Toby, but so glad he lived well up to the end. Take care. Thank you so much for playing Exactly. It was the first time I’d heard of Amy, and I got to see her live last night. She’s amazing! I’m sorry you felt you had to apologize for the previous episode. I agreed with much of what you said and didn’t think you in any way sounded anti-LYS (which seemed to be what you were apologizing for). I’m an avid knitter and love the on-line community, but the one aspect that sometimes turns me off is when knitters/crocheters become more excited about the buying of yarn, books and supplies than the process of creating something. I was glad to hear you were excited to get back to the podcast. As a teacher, I know how getting away from something time consuming for a while can help you remember why you liked it in the first place. Thank you for great interviews that reminded me that these entities which I take for granted were once just one person’s brain child. I add my voice in supporting the once a month format if that works best for you. None of us can do our best work when we’re drained because we’re doing things, or doing them in a way, that doesn’t work for us. So more power to you for changing the frequency because your enjoyment of the process comes out in the podcast. About your apologies: I am truly touched that you can be so open about your process of receiving criticism. You model great boundaries in taking in the pieces that ring true for you and recognizing your responsibility for them, as well as denying the parts that aren’t true for you and are more about the critic’s opinion. Your openness and vulnerability are parts of what make your podcast appealing to so many of us. Thank you. Brenda — Can you please do a podcast where you talk about your adorable DOGS!?? They are the cutest! Brenda, I don’t think it is anyone’s place to criticize you for talking about money or reducing the frequency of your podcasts. Instead, I just want to thank you for continuing to provide your creative, entertaining, and well-spoken podcast for free when it is worth so much more. I would miss it so much if you stopped podcasting all together. Instead, I have something to look forward to at the end of the month. Thank you for all your hard work. Just listening now (for the second time) after having been away. I am realizing something I never noticed before: You *do* talk about the nitty-gritty of money and making a living and getting by a fair bit, and I **soooo appreciate it**! I do not think those topics should be taboo and never mentioned at all, as if you pull the podcast out of thin air, or as if you’re not working (perhaps sometimes struggling) with the same issues we all do. And I look forward to next year’s Airing of the Stash! Love the podcast! It’s made me want to pick up the pointy sticks again and knit away! If I heard correctly on one podcast your an alum of CMSU in Warrensburg MO. I am as well! A big Kansas City howdy to you in Wales! I’m sorry to hear about Toby, it’s so painful to lose an animal. Personally I think it’s fantastic that you talk about the realities of making money as an artist. I am sick to death of people who earn large salaries expecting artists and other creative people to not be paid. I also wish that people who whine about how expensive art is could see just a fraction of the work that goes into making anything. Good for you for valuing both yourself and your time, more of us need to do it. Hi Brenda, I finally got to listen to this episode last weekend, on a car trip. I am so very sorry about Toby… but yes, what a way to go, doing your favorite thing ever. Sounds like living life to the fullest. But I mostly wanted to comment on the Jacket of Turin. I sensed the plot twist as you approached it, and felt your keen sense of loss, and… I swear, all my great trips have fantastic highs and lows that make them all the more memorable and precious. I’m sure it didn’t feel like that then, but perhaps with the gift of time, it will.